David McCullough has 8 media appearances. Credit: William B. McCullough PREMIER EVENT: David McCullough Tuesday, June 16, 7:30pm The Wright Brothers Fox Theatre, 2215 Broadway Street, Redwood City Tickets are available at Kepler's and online at Fox Theatre Box Office Join us for a very special evening with two-time Pulitzer Prize-winning author and historian, David McCullough. He is the author of numerous acclaimed books, including 1776, Brave Companions, The Johnstown Flood, The Great Bridge, and The Greater Journey. We're so thrilled to celebrate McCullough's new book, The Wright Brothers, in which we'll learn the story-behind-the-story of Wilbur and Orville Wright, the brothers who inspired and taught the world to fly. We know all about their achievements and the history of flight, but who were the Wilbur brothers really? McCullough, drawing on the immense collection of the Wright Papers - including private diaries, notebooks, scrapbooks, and more than a thousand letters from private family correspondence - shows us that Wilbur was unquestionably a genius, and Orville had rare mechanical ingenuity. Both brothers had an average public school education, very little money, and no contacts in high places to help them with their "mission" to take to the air. These two unknown men of exceptional courage and determination, of far-ranging intellectual interests and ceaseless curiosity, much of which they attributed to their upbringing - a house full of books if without electricity and indoor plumbing - changed history in 1903 in the Outer Banks of North Carolina. This thrilling book tells the human side of The Wright Brothers' story, including the little-known contributions of their sister, Katharine, without whom things might have gone very differently for them. 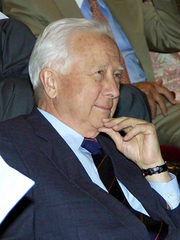 David McCullough has twice received the Pulitzer Prize, for Truman and John Adams, and twice received the National Book Award, for The Path Between the Seas and Mornings On Horseback. He is the recipient of numerous honors and awards, including the Presidential Medal of Freedom, the nation’s highest civilian award. The Decorah Public Library history book group will discuss David McCullough’s The Path Between the Seas: The Creation of the Panama Canal 1870-1914 at 6:30 p.m. Thursday May 23 at Decorah Public Library. Copies of the book will be available for check-out at the front desk of the library beginning Monday May 6. This is the inspiring and, until now, untold story of the adventurous American artists, writers, doctors, politicians, architects, and others of high aspiration who set off for Paris in the years between 1830 and 1900, ambitious to excel in their work. Most had never left home, never experienced a different culture. None had any guarantee of success. That they achieved so much for themselves and their country profoundly altered American history. Nearly all of these Americans, whatever their troubles learning French, their spells of homesickness, and their suffering in the raw cold winters by the Seine, spent many of the happiest days and nights of their lives in Paris. McCullough tells this sweeping fascinating story with power and intimacy, bringing us into the lives of remarkable men and women who, in Saint-Gauden's phrase, longed "to soar into the blue." "The Greater Journey" is itself a masterpiece. David McCullough is currently considered a "single author." If one or more works are by a distinct, homonymous authors, go ahead and split the author. David McCullough is composed of 19 names. You can examine and separate out names.